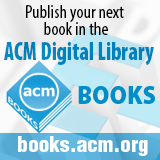 Welcome to the March 10, 2014 edition of ACM TechNews, providing timely information for IT professionals three times a week. Can a Serious Game Improve Privacy Awareness on Facebook? The Washington, D.C., metropolitan area had the highest number of job postings for cybersecurity positions in 2013 with 32,000, followed by New York and the San Francisco-San Jose metro area, which had 15,000 and 12,000, respectively, according to an assessment by Burning Glass Technologies. The report also analyzed the data on a state-by-state basis, and found that Virginia ranked second, while Maryland ranked sixth in terms of cybersecurity job postings. The report also found the largest share of cyber-job postings nationwide came from companies in the professional services sector, followed by the manufacturing and defense sector and the finance and insurance sector. The abundance of openings in the Washington, D.C., region could be a result of the unique requirements for cybersecurity positions in the federal government and contracting industry, according to Burning Glass CEO Matt Sigelman. He notes that 56 percent of cybersecurity jobs in the contracting industry require a certification for information security professionals (CISSP), while only 34 percent of companies outside the contracting industry require a CISSP. In addition, many of the positions require a security clearance. "It's going to be a while before the demand for this talent is in a better state of equilibrium...and we're not close to being there yet," says SI Placement executive director Kathy Lavinder. In an interview, U.S. Defense Advanced Research Projects Agency (DARPA) director Dan Kaufman says fully homomorphic encryption could balance the interests of privacy and big data as his agency creates the next generation of big data and security software, amid the ongoing fallout from the U.S. National Security Agency surveillance leaks. "Imagine a future that says: OK, I have to collect everything for big data to work because if I knew what wasn't relevant it wouldn't be big data," Kaufman says. "But I don't want the government to just willy-nilly look through my emails--that feels creepy." One potential solution is homomorphic encryption, which has been proven possible through a mathematical proof written by Stanford University's Craig Gentry, who is now at IBM. Although the process is currently too slow for widespread use, DARPA is trying to speed it up. Kaufman says unlike standard encryption, homomorphic encryption does not require that recipients decrypt messages, which would enable the government to collect bulk data only in its encrypted form. Kaufman says he would like to make the algorithm public for a year of experimentation so society could agree on its effectiveness. The U.S. General Services Administration is now accepting applications for the third round of the Presidential Innovation Fellows program. The initiative gives people from outside the federal government an opportunity to work with federal innovators on projects intended to help make the government run better. The three high-impact initiatives of the third round are big data, crowdsourcing, and digital services, and the program will look to tap people who are experts in these areas. Fellows will help create a digital experience that will enable the Department of Veterans Affairs to provide better, faster access to services. They also will assist the government in its effort to make information resources more accessible to the public and usable in computer readable forms, and to encourage the use of data by companies, entrepreneurs, citizens, and others to drive the creation of new products, services, and jobs. In addition, fellows will help the government leverage technology and innovation to engage the public as a strategic partner in solving problems and improving government operations. There will be 14 projects in the three areas, and the application deadline is April 7. Researchers at the University of Surrey and Philips have developed the Source-Gated-Transistor (SGT), technology that could enable affordable flexible electronics, such as roll-up displays, to become widely available. The researchers found that SGTs can be applied to many electronic designs of an analog nature, as well as next-generation digital circuits. SGTs control the electric current as it enters a semiconductor, which decreases the odds of circuit malfunction, improves energy efficiency, and keeps fabrication costs to a minimum. The researchers say these properties make SGTs ideal for next-generation electronic devices, and could enable digital technologies to be incorporated into wearable designs built using flexible plastics or clothing textiles. "Whilst SGTs can be applied to mainstream materials such as silicon, used widely in the production of current consumer devices, it is the potential to apply them to new materials such as graphene that makes this research so crucial," says University of Surrey professor Ravi Silva. By simplifying such devices and making them very affordable, the mainstreaming of next-generation gadgets could happen sooner than expected, says Surrey researcher Radu Sporea. The technology also could be applied to light-emitting diode lighting, because it could be used either in the control circuitry or in the light-emitting-element drivers. University of California, Los Angeles (UCLA) researchers say they used an emerging class of magnetic materials called multiferroics to make major improvements in computer processing that could make future devices far more energy-efficient than current technologies. The researchers used multiferroic magnetic materials to reduce the amount of power consumed by logic devices. A multiferroic can be switched on or off by applying alternating voltage, allowing it to carry power through the material in a cascading wave through the spins of electrons, a process known as a spin wave bus. A spin wave is similar to an ocean wave, which keeps water molecules in essentially the same place while the energy is carried through the water, as opposed to an electric current, which can be envisioned as water flowing through a pipe, says UCLA professor Kang L. Wang. "Spin waves open an opportunity to realize fundamentally new ways of computing while solving some of the key challenges faced by scaling of conventional semiconductor technology, potentially creating a new paradigm of spin-based electronics," Wang says. The researchers say they were able to increase power efficiency for processing by up to 1,000 times by using multiferroic material to generate spin waves. Southern Methodist University (SMU) says it will offer a first-of-its-kind graduate degree in data center engineering, with classes starting this fall. Hewlett-Packard approached the Dallas-based university about developing a program two years ago, and Compass Datacenters and other industry players also helped put it together. The program includes five core courses covering data centers broadly, and draws on SMU's various departments to enable students to specialize in areas such as facilities and infrastructure, data analytics, virtualization, and cloud computing. Other programs may emphasize one or more of these areas, says Lyle School of Engineering program director Edward Forest. "What you don't get is the broadness of the core classes and the ability to combine that with specialties from other departments," Forest notes. SMU hopes to enroll about 20 students in the first year. The U.S. Department of Labor expects the number of people working in data center operations will increase to 6 million in 2018, up from 4 million currently. The Masters of Science in Datacenter Systems Engineering addresses "a long unfulfilled need in the data center industry," says Compass Datacenters CEO Chris Crosby. Researchers at the University of Regensburg have developed a serious game called Friend Inspector that helps users understand privacy issues on Facebook. Friend Inspector, available in English and German, targets players aged 16 to 25 with a quiz on who can see their shared items. A player's contacts, shared items, and privacy settings are retrieved from Facebook, and players engage in a 10-round Item Battle of ranking which items are the most sensitive. The game then progresses to the Find Your Friends segment, which presents players with sensitive items and asks who among 20 profile pictures can see the item. Players lose points for every second it takes to complete the task and for each incorrect profile chosen. After examining a player's score, Friend Inspector offers personalized recommendations, including how to create friend lists and how to share personal items in a targeted manner. The game is a client-side application that runs only on the user's browser, so personal data does not leave the user's domain. Since it launched last June, the game has been requested more than 100,000 times. Google recently launched Project Loon, which provides Wi-Fi connectivity to remote locations using high-altitude balloons, wind currents, and solar power. The balloons were released from a remote location in New Zealand, and will travel in the stratosphere at 25 mph along the 40th parallel in the Southern Hemisphere. Project Loon is a "moon shot" project from research and development lab Google X that aims to result in massive, disruptive change. The balloons create an aerial Wi-Fi network that could bring Internet connectivity to hard-to-reach locations such as earthquake zones or war zones. Google's technology could be globally available by 2020. Teams of researchers from the Massachusetts Institute of Technology are applying a range of engineering and computing disciplines to make Project Loon work. The effort is drawing the attention of other researchers and scientists who would like to use the balloons' data for other projects. Climate scientists, for example, have asked to use Project Loon data to study the earth's stratosphere for clues about global climate change. In addition, other scientists are contemplating new forms of balloon-powered transportation to the stratosphere. Saarland University professor Andreas Zeller and his colleagues have developed XMLMATE, software that automatically tests other programs for errors. XMLMATE generates test cases and tests code automatically, but program input must be structured in a certain way because the researchers use it to generate the initial set of test cases. Zeller says testing is based on a genetic algorithm that functions similarly to biological evolution, with chromosomes being analogous to input. "It is not easy to detect a real error, and the more code we are covering, the more sure we can be that more errors will not occur," says XMLMATE co-developer Nikolas Havrikov. In testing XMLMATE on actual open source programs, the team detected nearly twice as many fatal errors as similar test methods that work only with randomly generated input. "But the best thing is that we are completely independent from the application area," Zeller says. "With our framework, we are not only able to test computer networks, the processing of datasets, websites, or operating systems, but we can also examine software for sensors in cars." She++, a volunteer group of female undergraduates at Stanford University, has created a series of short YouTube videos of motivational interviews with Silicon Valley women to encourage young women to enter computer science fields. The first six videos in the she++ library were released on Wednesday. The women in the videos hold jobs in programming, project management, computer security, and other areas of computing. "We wanted to showcase a lot of different people and careers so that viewers could watch the videos and see future versions of themselves represented," says student project co-leader Alyssa Vann. Although the videos target high school and college students, as well as teachers and counselors, she++ also hopes parents will show the videos to younger children. In making the videos, the Stanford students noticed the variety of paths that led women to computer science careers, including an interest in graphics or an effort to accomplish goals such as creating applications for local government. Formed in 2012, she++ also is working on a mentorship program that matches high school students with computer science degree students or technology industry workers. In addition, the group has launched a fellowship program, #include, that helps high school students begin tech initiatives within their communities. A new security tool for Android devices takes a unique approach to anomaly detection by focusing solely on the C programming language. Most, if not all, Android root exploits are written in C code. The Practical Root Exploit Containment (PREC) tool, developed by researchers at North Carolina State University (NCSU), detects deviations from normal behavior and analyzes them to determine if they are malware or harmless false positives. When PREC determines an app is attempting a root exploit, the tool will contain the malicious code and prevent it from being executed. The approach significantly lowers the number of false positives, says NCSU professor Helen Gu, co-author of a paper on the tool. "This reduces disturbances for users and makes anomaly detection more practical," she notes. The researchers want to work with app vendors such as Google Play to build a database of normal app behavior. They also want to exploit established vendor-screening efforts to build a database of each app's normal behavior, which could be achieved by having vendors incorporate PREC software into their app assessment processes. The software would take the app behavior data and generate an external database, but would not otherwise impact the screening process. Microsoft researchers have developed SurroundWeb, a prototype system for displaying Web pages on multiple projectors to display information on the walls of a room. SurroundWeb is "a 3D Browser that displays webpages across multiple surfaces in a room, adapt their appearance to objects present in that room, and interact using natural user input," according to Microsoft. The system first creates a Room Skeleton using the Kinect motion sensor, which scans the room to see what kinds of surfaces are available. SurroundWeb then learns what projection equipment is available, such as monitors or phones. The monitor shows the main presentation information, while the projector shows additional content on the walls. In addition, phones can be used for interacting with the content. The researchers note they are sensitive to privacy concerns around scanning the room. "From mobile phones, we have learned how dangerous it is to give devices unrestricted access to sensor output," the researchers say. "Similarly, from raw video and depth streams inside a home, it is likely possible to infer economic status, health information, and other sensitive information. Therefore we do not want to expose raw sensor data to Web pages."